Imagine climbing a skyscraper while carrying an elephant. Or dragging a blue whale around on land. 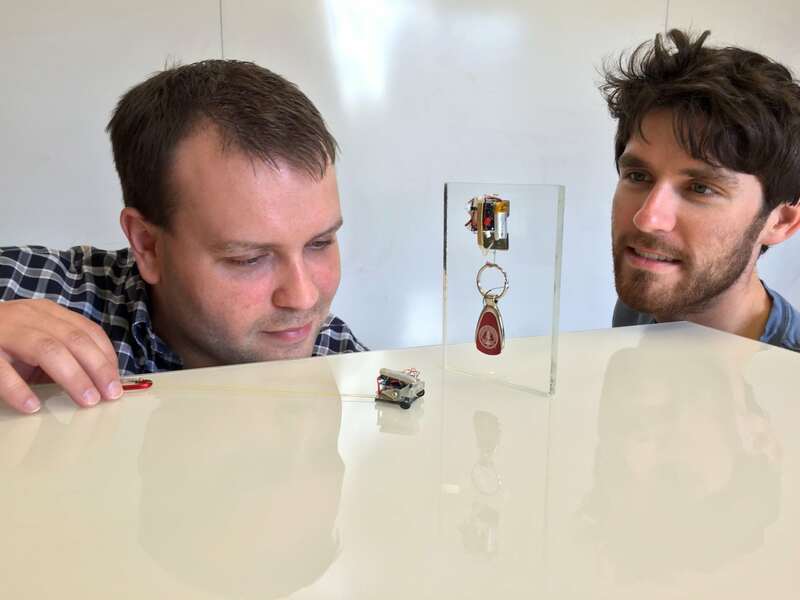 Engineers from Stanford’s Biomimetics and Dextrous Manipulation Lab have created MicroTugs, miniature robots of only nine and 12-grams that can carry up to 2,000 times their weight while climbing vertically on glass. 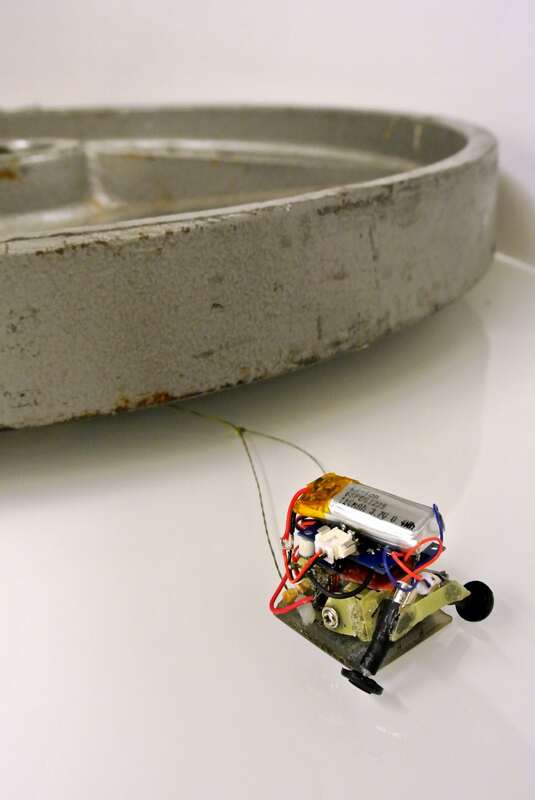 They have been compared to ants, tugboats and even Spider-Man, but these mini robots are more like geckos. 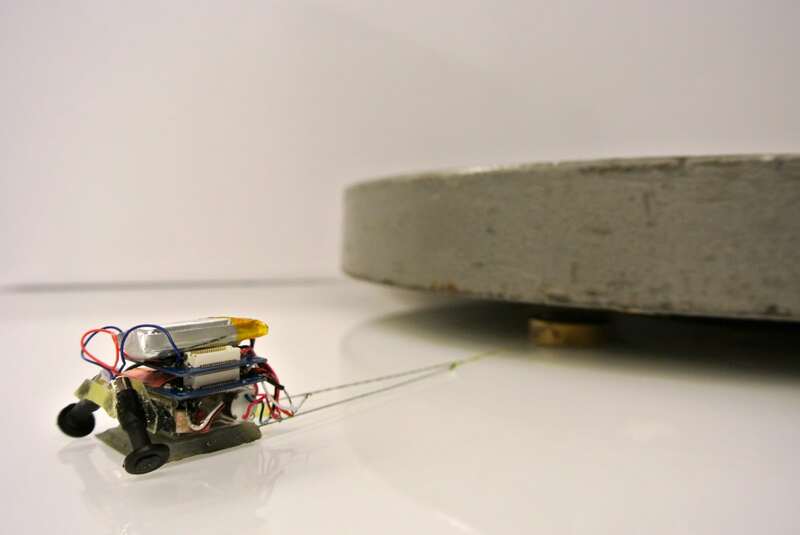 Until now small robots have become progressively better at moving and sensing, but have lacked the ability to change the world through the application of human-scale loads. However, MicroTugs’ sticky secret is a bio-inspired gecko adhesive. When it comes to chemical bonding, van der Waals forces are a weak electromagnetic connection that draws molecules together. Geckos use this force to cling, stick and unstick their feet via thousands of tiny, hair-like rubber structures on their toes. While nature’s adept climbers get their pulling power from their sticky feet, researchers have covered their robots’ ‘shoes’ with super-strong tiny rubber spikes. A built-in winch allows the MicroTug to ‘tug’, to cut it some slack to move forward on its wheels. 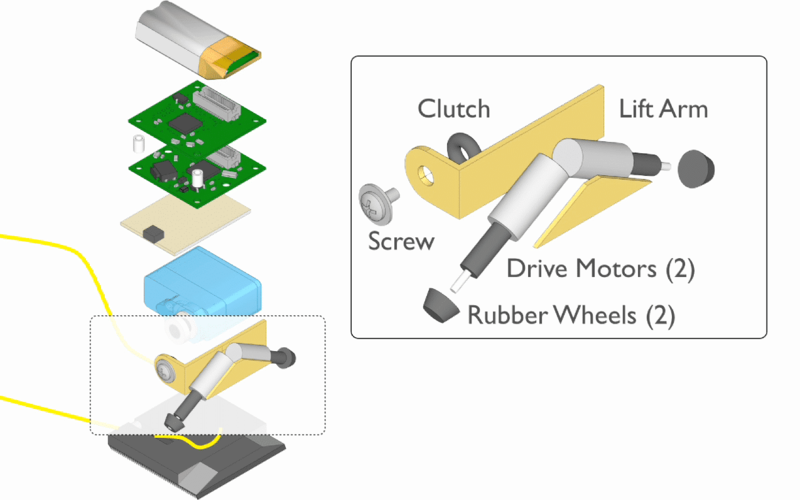 The next step is to scale the technology up to larger robots to haul extremely heavy loads and equipment in factories or construction sites. Other more specialised models could be used in emergency rescue operations to, for example, carry a ladder to a person trapped in a burning building. Tags: biomimicry, Insects, Robotics, Transport.